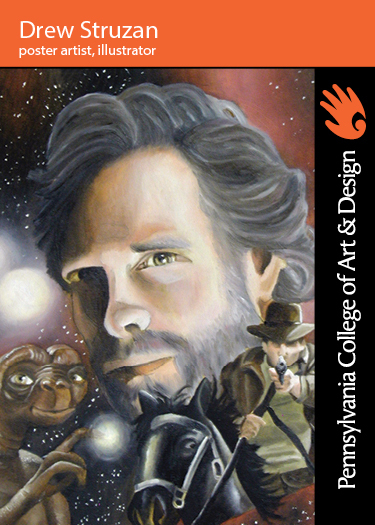 Artist Spotlight: What Does Star Wars, Indiana Jones, and Harry Potter Have in Common? Drew Struzan. What more can be said of Drew Struzan? The man has dominated the movie poster industry for years, with his illustrations capturing the hearts and imagination of countless cinephiles across the globe. Mostly known for his hand-drawn, “one sheet” movie posters, his artwork has graced some of the top movie franchises of all time, including Back to the Future, Star Wars, Indiana Jones, Harry Potter, and countless others. Chances are if you’ve seen a Steven Spielberg film within the last 30 years, you’ve come across one of Struzan’s illustrations. His iconic work isn’t just a testament to his skill, however—it’s a testament to the hard work and careful thought he put into it. When Struzan was 18, he enrolled in art school in Los Angeles, where he pursued his interest in the arts, refined his creative processes and developed his technical skills. After graduating, Struzan began his professional career creating album cover artwork for a variety of renowned musicians.